First you need to verify that it is in fact the improperly moving spout(7) that causing the issue so you need to take the front cover off. This is quite straight forward but you will need to apply a bit of force to the sides to get into the machine. 4. Once the front cover(8) is removed, plug the machine back in, put the water tank (24) back on with water in it. 5. 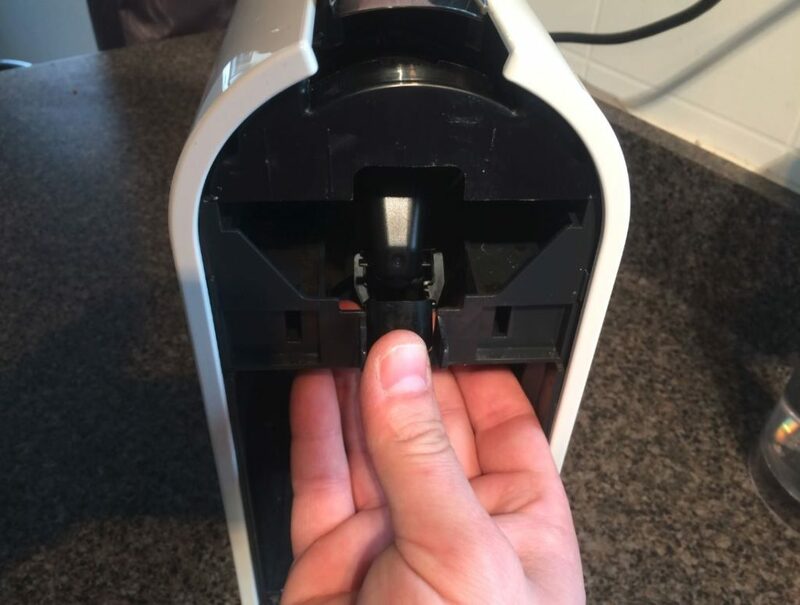 You dont need to put a pod in, but if you flick the pod opening back and forward you can inspect the operation. If the duct(7) doesn’t move up and down, or gets pushed forward when the distributor (34) moves forward then this guide might be for you. You Could try and use some super glue and make new guides with some plastic nibs, for example cut some short bits off a cotton bud stick 2-3mm long and glue them here on here. 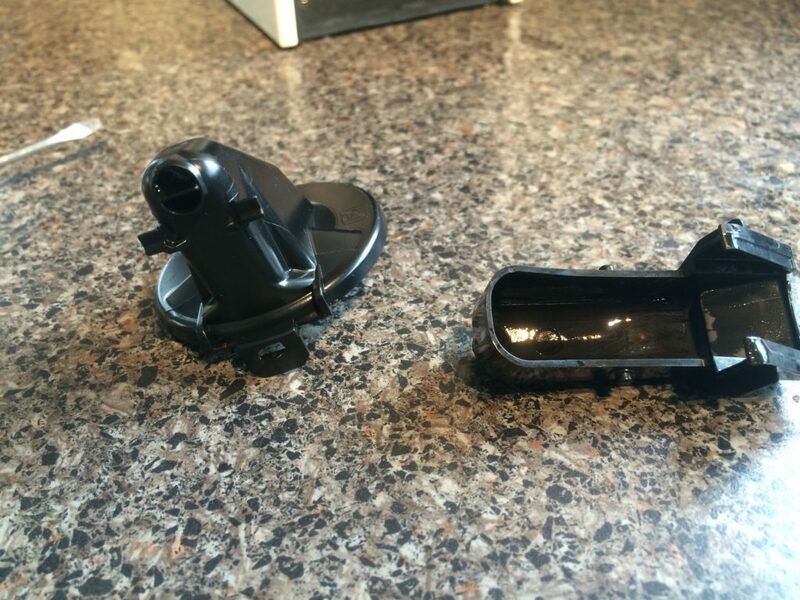 Removing and re-attaching the part is easy, but can take a few goes to get the bit where you need it. 8. 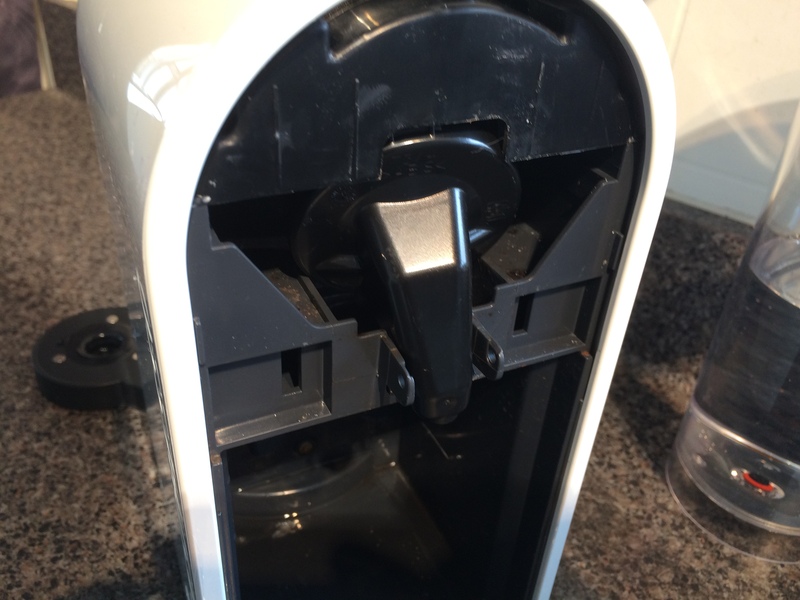 I found it easiest to remove the spout(7) by squeezing it in the middle then pushing the spout(7) into the machine. Once the spout (7) is removed you need to get the distributor (34) closer to the front of the machine so you can pry it off. 9. Turn the power on and off at the wall and move the pod switch/lid (54) until you get the Distributor(34) top to be visible in the gap between the top and the front. it might take a few goes to get it where you want it to be. 10. 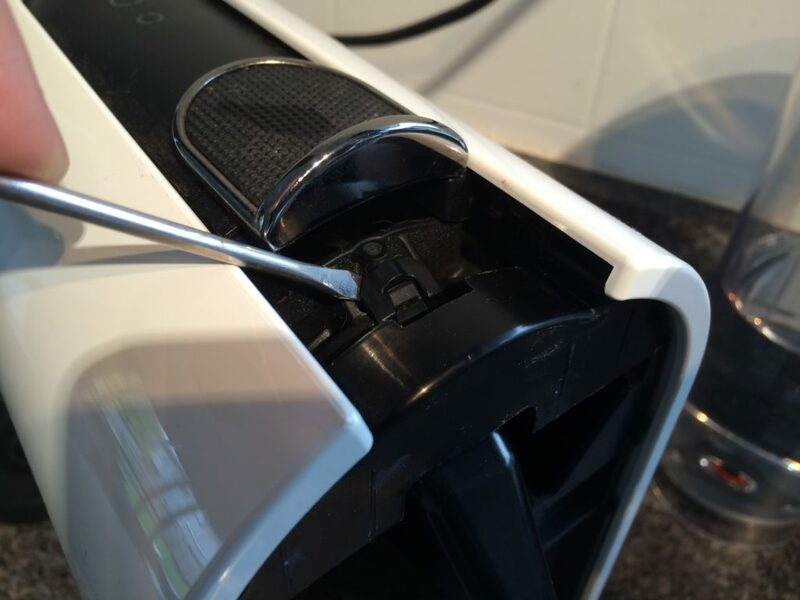 Now you can use a screwdriver, or a kitchen knife or any suitable thin blade type thing to push the tab at the top off the distributor(34) off the infuser(33). 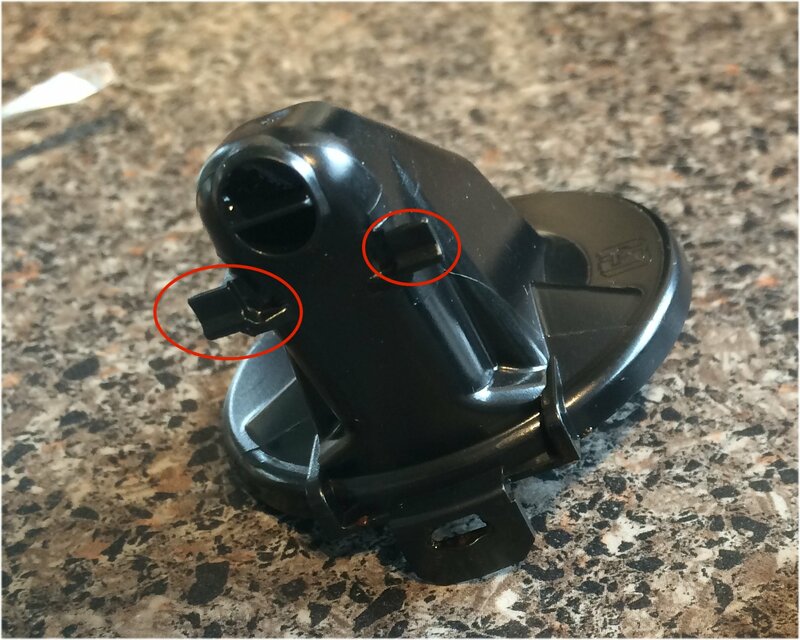 Where the screwdriver is placed in this picture lets it come up and off easily. I didn’t need to move the Infuser(33) back to remove the old distributor(34) but you might need to. Try not to though, as the infuser moving forward might damage the machine. If you are worried about this, leave it more or less in place but not clipped in, then it shouldn’t push things around too much. Now we just do everything in reverse. 2. Place it back into the machine where you took the old one out. I found it easiest to place the bottom clip in first, then I applied a bit of pressure with a screwdriver to get the top clip over the latch. 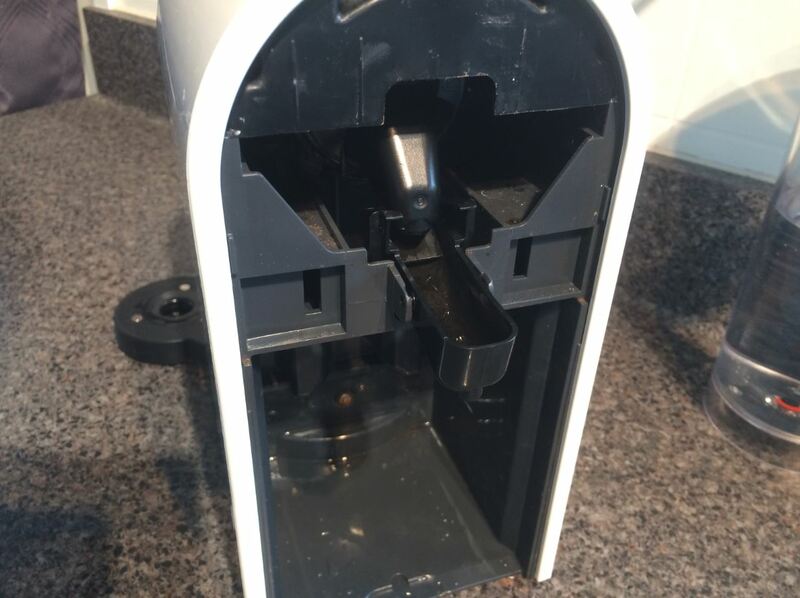 you can test the distributor(34) is working now but turning the machine on and opening and closing the pod cover/switch until the machine tries to make a coffee, it doeskin need a pod and will just make hot water. 4. replace the spout (7) whichever way you find easiest. I found putting in in from the rear to be the most straightforward. 5. To replace the front cover simply pull the sides out a little bit again and place it into the machine, I found I needed to click the covers back in afterwards to get a tight fit. Thank you for this great tutorial! 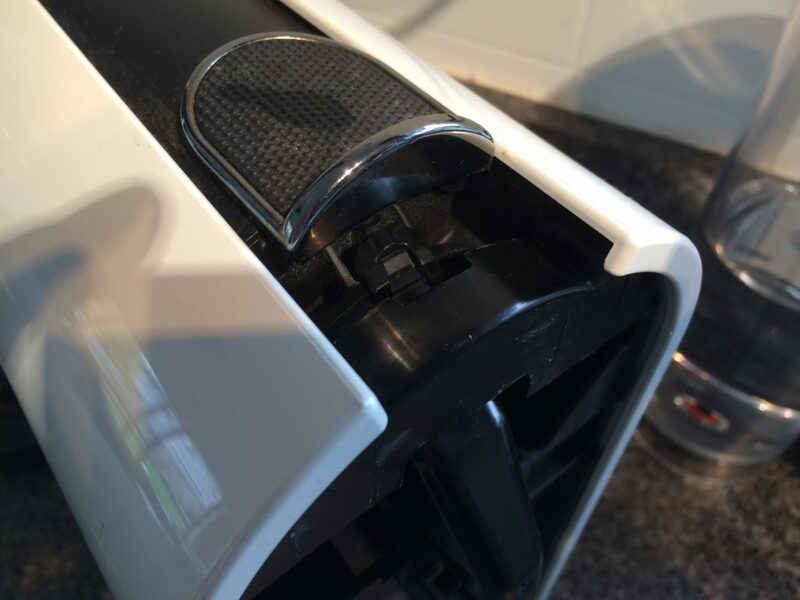 It saved my Nespresso U! You rock Sir! Thank you for this! So thorough and exactly what I needed. 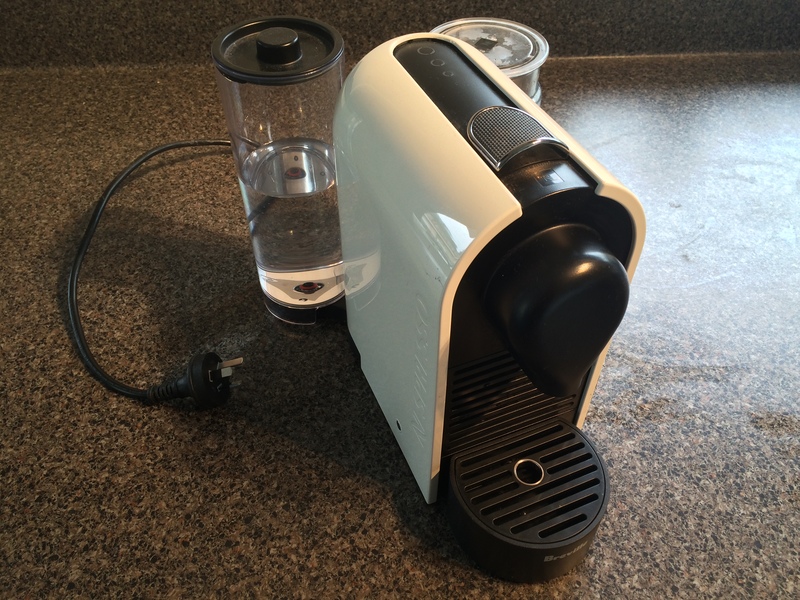 Only 3 days without my nespresso while I waited for the part to come from Amazon. You are awesome! 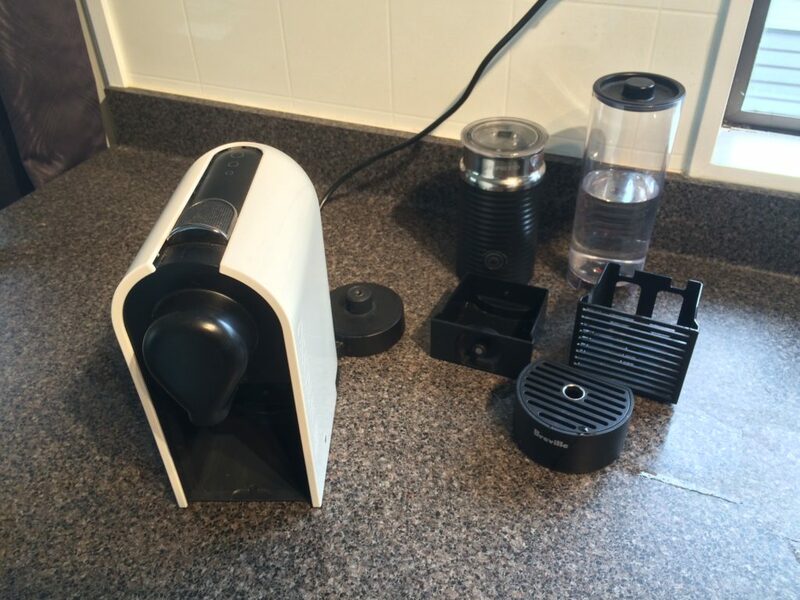 Sorted my machine – brilliant thank you!!! Thanks. Just the extra info I needed to replace the drip stop that had become dislodged when a pod got mangled!